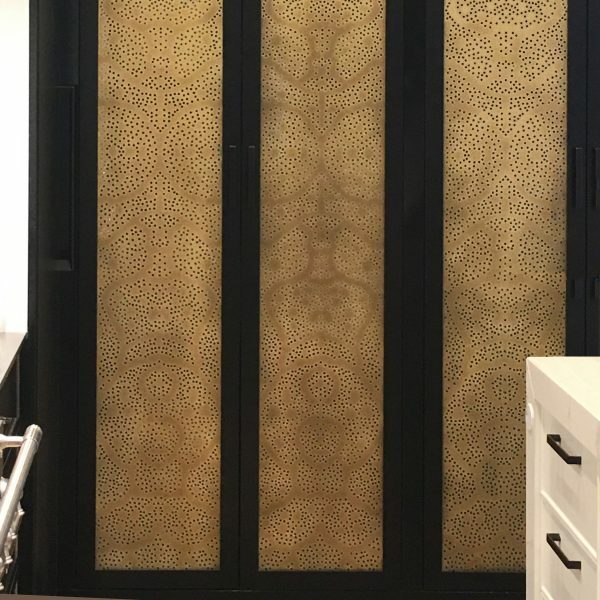 Walnut cabinetry doors are inset with custom brass panels. 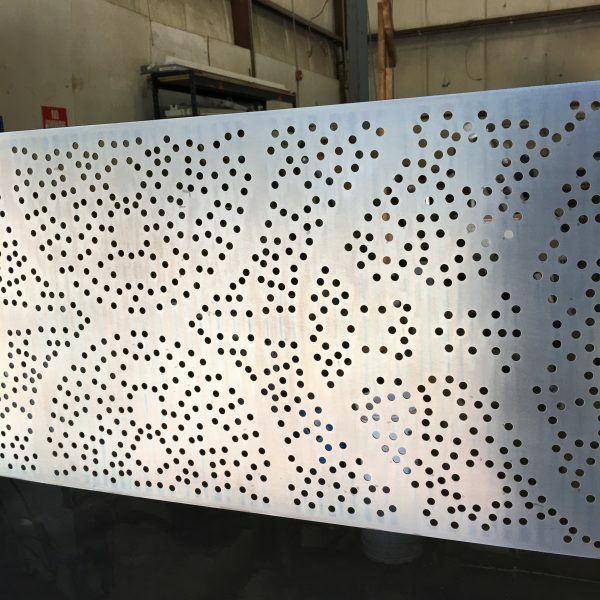 The pierced pattern design creates a feature wall while concealing the kitchen pantry. 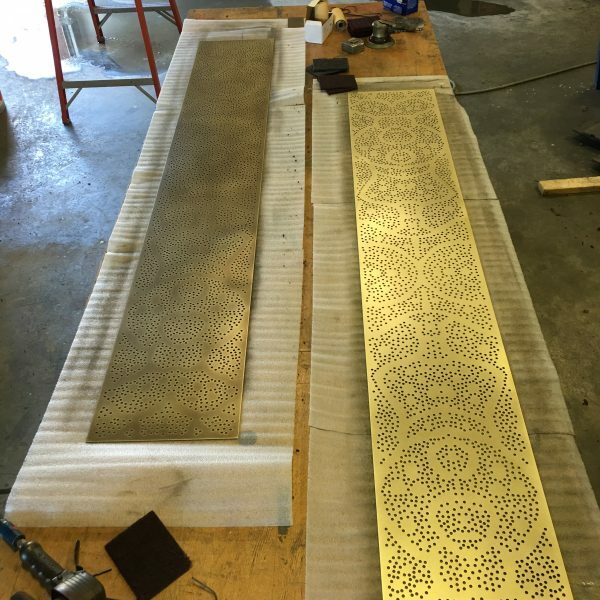 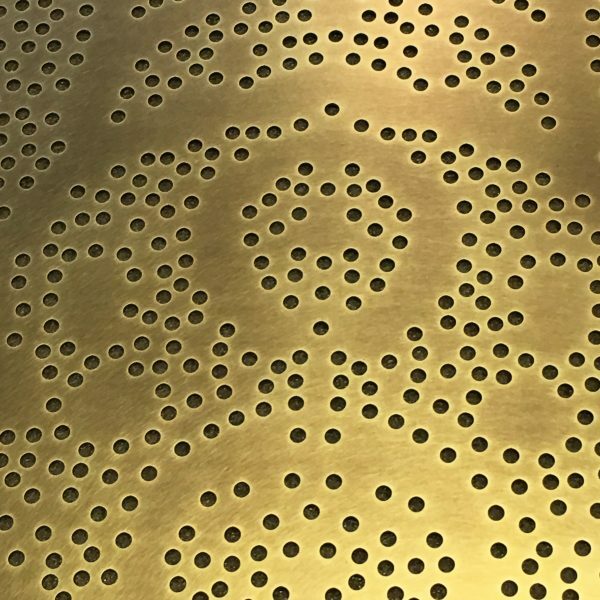 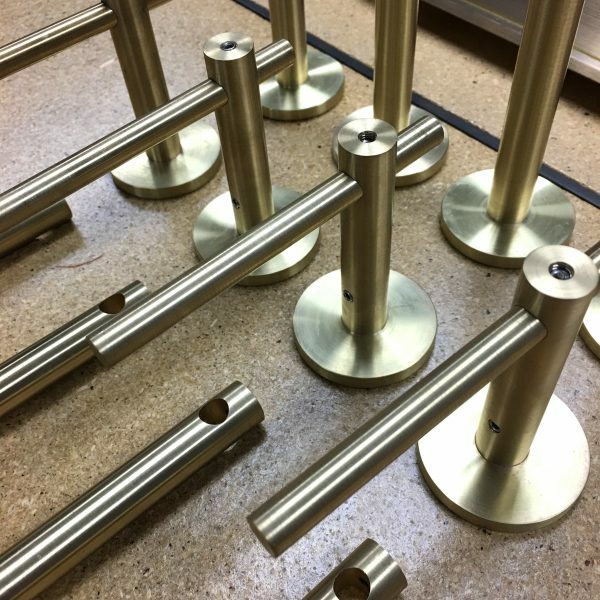 Bathroom hardware is machined brass.